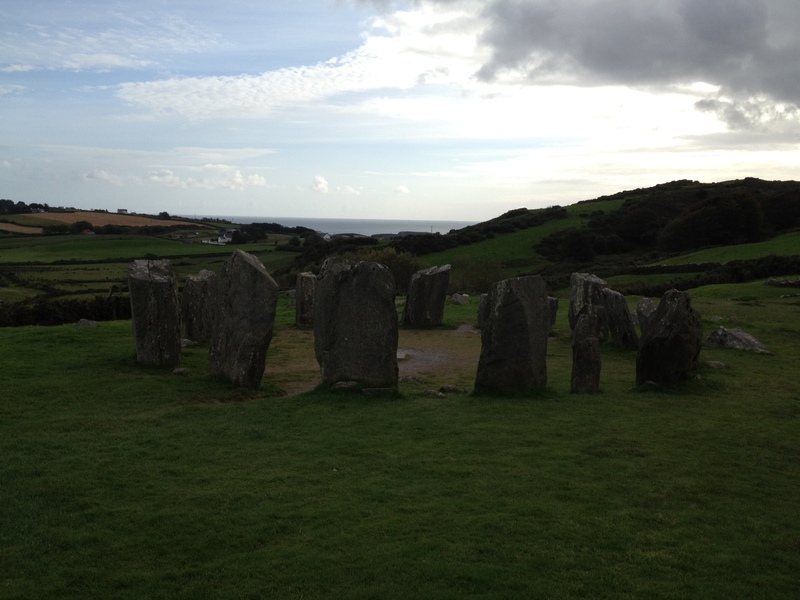 This morning I was thinking about our trip to Ireland back in…well, several years ago now I guess. I was tossing a comforter in the dryer and on the window ledge in the laundry room was a little card from the Ardmore Pottery & Gallery. We happened on it quite by accident, but it was a very big highlight of our trip and the only place we bought something besides food during our trip. In our travels we spotted Ardmore on the map. Noticing it was coastal we decided to detour off the main road and check it out. We thought it was going to be a 10 minute look-see. It was such a beautiful place though, we decided to walk up the hill a little and stumbled upon the shop. We popped in and were instantly charmed and it turned out we lucked into finding the gift-shop that won an award for being the best all-Irish-made shop in all of Ireland. The shop certainly earned its award. It was not only quaint and lovely with a fireplace and windows that overlooked the sea through the riot of flowers in the front of the shop, but everything inside the shop was so beautiful and so finely made it was an absolute treat to experience. Having just come from Italy, where some of my fondest memories were of my hosts teaching me to make espresso in the little pot Ive always wanted to know how to use, the whimsical clay espresso cups caught my eye. Once I was home, I thought, I could make espresso and serve it in these little cups and be reminded of both places at once. Mike bought a lovely green wool scarf with orange trim; being the caring man he is he generously wrapped it around my neck when the weather turned chilly. Another wonderful memory I took home with me. As we were paying for our purchases, and chatting with the lovely woman manning the shop, she asked if we were there to experience the cliff-walk. “Cliff-walk?” we asked. Turns out there is a looped cliff walk that leads to St. Delcan’s Well, a pilgrimage site where people journeyed to drink and be healed, that starts just steps from the shop’s front door. So we decided to give it a try. It was lovely, and because of the timing me mostly had the path and the well to ourselves. We maybe saw one other couple in the distance. The views were spectacular and it is one of my favorite days spent with my favorite person to date. 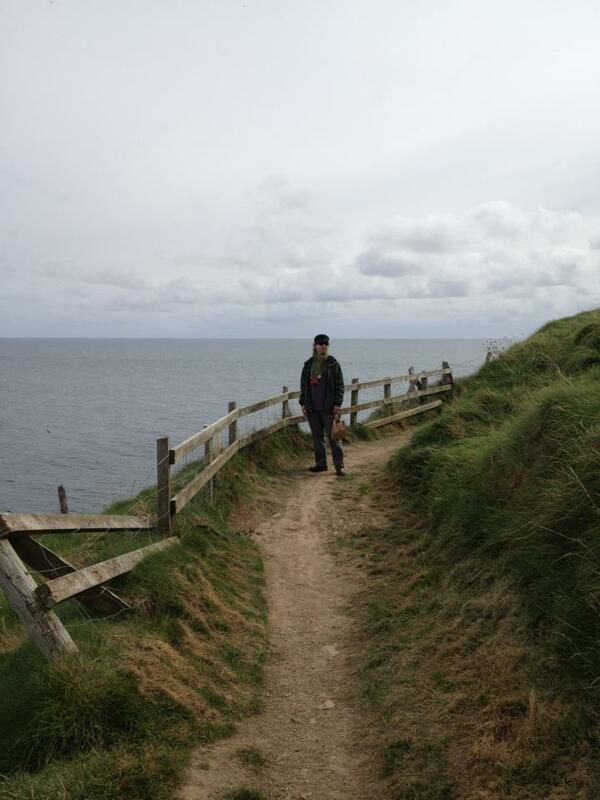 If you are ever near Ardmore in Ireland I can’t recommend tracing our footsteps enough. What an awesome memory to revisit on this wet, cold, and rainy Tuesday in Portland, OR.